Scholarship for undergraduate students attending Drexel University who are majoring in History or Politics. Selection is based on academic merit. Deadlines and award amounts may vary. Nonrenewable. Scholarship for graduate students attending East Carolina University who are enrolled in the Department of History. Students must be writing a thesis on modern naval history. Due date and number of awards may vary. Nonrenewable. Scholarship for seniors attending Pace University (NYC, PLV, or WP campuses) who are majoring in History or Criminal Justice. Applicants must have a minimum 3.0 GPA and be U.S. citizens/permanent residents. Deadlines and award amounts may vary. Scholarship for graduate students attending East Carolina University who are majoring in History with an emphasis in Naval History. Selection based on academic achievement and potential. Due date, award amount and number of awards may vary. Nonrenewable. Scholarship for undergraduate students entering Canisius College planning to major in Art History. Applicants must demonstrate an interest in the history or art and be eligible for financial aid. An interview in person or by phone is required. Due date and number of awards may vary. Renewable. Scholarship for doctoral students attending New York University, enrolled in the Institute of Fine Arts with interest in Classical art and Archaeology. Due date, number of awards and award amount varies. Scholarship for undergraduate, juniors and seniors only, and graduate students attending a college or university that will accept this internship program for academic credit. Preference given to students pursuing a career in the fields of Historian, Library Science, Museum Studies, or U.S. Military History. Applicants must be attending a college/university that grants academic credit for internships at either the enclosed address or the USMC Air-Ground Museum in Quantico Virginia. These are beginning professional level internships. Award consists of $50.00 per day. Due date and number of awards may vary. Scholarship for full-time incoming freshmen admitted to Ferrum College. Selection is based on need, class rank, and history of volunteer service. Recipients must stay involved with community service activities. Due date may vary. Scholarship for graduate students enrolled full-time at Bard College Graduate Center majoring in Garden History and Landscape Studies. Students must demonstrate financial need and academic achievement. Deadlines and award amounts may vary. Scholarship for undergraduate students attending Hofstra University who are majoring in History. Selection based on academic achievement and financial need. Preference given to students majoring in American or European 20th Century History. Students must file the FAFSA. Deadlines and award amounts may vary. Renewable. Annual competition for undergraduate students attending Xavier University who are majoring in Chemistry, the Classics (Latin), History, Mathematics, Modern Languages (French, German or Spanish) or Physics. Applicant must compete in the field in which they are majoring. The top scorer on exams offered in each major listed above will receive an award. The competition is held in February. Contact the Admissions Office for more information and/or application. Scholarship for undergraduate students attending the University of Saint Mary full-time. Applicants must have good academic achievement and be in good standing with the university. Due date, number of awards and award amount varies. Scholarship for undergraduate students enrolled at South Plain's College in Levelland, Texas majoring in History, Technology and Petroleum Technology. Students must have financial need, personal integrity, and scholastic potential or achievement. Deadlines and award amounts may vary. Contact the college's Office of Development or the Foundation for more information and/or application. Scholarship for Georgetown, South Carolina residents who are undergraduate students attending Howard University. Applicants must have financial need and academic merit. Deadlines and award amounts may vary. Scholarship for undergraduate students attending Morehead State University who are majoring in Geography, Government, History or Music. Selection based on academic achievement and potential. Deadlines and award amounts may vary. Renewable. Contact the Department of Geography, Government & History or the Department of Music for more information. Scholarship for undergraduate students attending Providence College who are majoring in History. Selection is based on academic achievements, potential, and community/school activities. Preference given to applicants from Fall River, MA. Due date, award amount and number of awards may vary. Nonrenewable. Scholarship for undergraduate students attending Providence College who are majoring in History. Selection is based on academic achievements, financial need, potential, and community/school activities. Due date, award amount and number of awards may vary. Nonrenewable. Scholarship for undergraduate students attending Denison University pursuing studies in American History. Deadlines and award amounts may vary. Scholarship for graduate students pursuing a Ph.D. in Agricultural Economics. Applicants must have graduated from a school district located in or around Atlanta, Ohio: Logan Elm, Circleville, Teays Valley, Westfall, Madison-Plains, Miami Trace, Adena, or Washington Court House. Preference is given to students minoring in history or political science. Deadlines and award amounts may vary. Contact the University for more information and/or application. Scholarship for undergraduate students attending Morehead State University who are majoring in History or Journalism. Selection is based on academic achievement, financial need and potential. Deadlines and award amounts may vary. Nonrenewable. Contact the Office of Enrollment Services for more information. Scholarship for undergraduate students pursuing a degree in American History, American Decorative Arts History, Archaeology, Pennsylvania German History, Museum Studies or Anthropology. Selection is based on academic record, activities and leadership. An essay must be included with application packet. Number of awards may vary. Annual award for college freshmen enrolled full-time at Ohio University. Students must have the highest score from the Ohio University American History Contest. Due date and award amount may vary. Scholarship for transfer students accepted to Seattle University (SU) full-time. 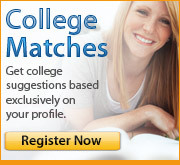 Selection is based on noteworthy collegiate academic ability. Awards are available to students entering in the winter or spring quarters. Applicants must file a FAFSA by February 1st to be eligible for SU's awards. Submit ACT/SAT scores, recommendations, essay, work history, academic honors received, and a list of extracurricular activities with application packet. Due date is November 15th for the winter quarter and February 15th for the spring quarter. Number of awards varies. Renewable. Scholarship for college juniors or seniors enrolled full-time at Barton College majoring in History or Social Sciences. Deadlines and award amounts may vary. Annual award for a student that is a senior attending Hamilton College in New York. Applicant must excell in the study of Art History. Due date and award amount varies.